India has the highest number of acid attacks in the world but the worst conviction rates. 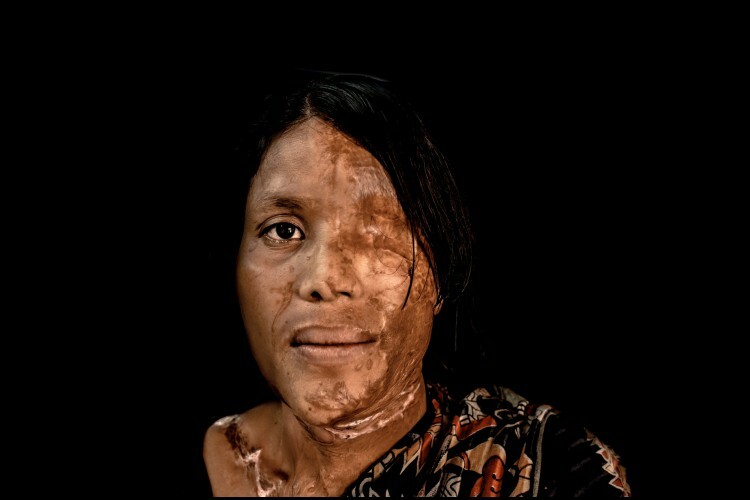 As is often the case with other crimes against women, acid attacks are treated with official apathy and societal indifference. The rising number of acid attack cases from 83 in 2011 to 349 in 2015, shows India’s inability to grapple with this heinous crime. Cases continue unabated in various parts of the country, showing the pan Indian character of this form of assault. Over the last few months, cases of acid violence have been reported from Rajasthan, Punjab, Madhya Pradesh, Tamil Nadu, Kerala, Bihar, Assam and Delhi, underlining the fact that little has been done to regulate the availability of acid, despite the Supreme Court directive three years ago. The victims are usually women between the ages of 14 and 35 years and the attack often occurs as revenge for rejecting a marriage proposal or sexual advances, showing the peculiar mindset of male entitlement and power and no right for a woman to refuse. Women have had acid thrown at them for not bringing enough dowry, for bearing a female child, for not cooking a good enough meal and other irrational reasons. Acid attack survivors undergo immense trauma – they are blinded, scarred beyond recognition, robbed of their identity, often unable to step out of the house, seek employment or lead a normal life ever again. But, it was only in 2013, after the Jyoti Singh gangrape and murder case, that India officially acknowledged its seriousness by introducing separate sections in the India Penal Code – 326A and 326B – to deal with acid attackers, making the offence non bailable and specifying a minimum of ten years to life imprisonment. The skull is partly destroyed/deformed and hair lost. Ear cartilage is usually partly or totally destroyed and deafness may occur. Eyelids may be burned off or deformed, leaving the eyes extremely dry and prone to blindness. Direct contact of the acid with the eye also damages sight, sometimes causing blindness in both eyes. The nose can become shrunken and deformed; the nostrils may close off completely due to destroyed cartilage. The mouth becomes shrunken and narrow, and it may lose its full range of motion. Sometimes, the lips may be partly or totally destroyed, exposing the teeth. Eating and speaking can become difficult. Scars can run down from the chin to neck area, shrinking the chin and extremely limiting range of motion in the neck. Inhalation of acid vapours usually creates respiratory problems, exacerbated restricted airway pathways (the esophagus and nostrils) in acid attack patients. In addition to these above-mentioned medical effects, acid attack victims face the possibility of septicemia, renal failure, skin depigmentation and even death. Empowerment of Acid attack Victims and providing Medical assistance. 1. Treatment of wounds inflicted from Acid attack. 2. To give power and minimal to maximum support to fight against the criminals. 3. To support and enable the victim to relocate in case she finds it difficult to live in her current environment. 4. Strong and effective laws are required for these kind of incidents, where victim will get immediate justice. 5. Counsel the victims to gain self confidence and overcome her insecurities. We believe that Prevention is better than cure. We will start involving general masses to voice for strong law and justice to come into existence, we are also planning for social awareness programs like events, motivational programs for victims, also charity run + awareness rally as well. Through our social programs we will appoint a team and start as many campaigns as we can to spread awareness to ensure that strong law against these kind of attacks are passed. We will be providing money assistance to the Acid attack Victims who cannot afford their Medical expenses. 1. On average, a survivor of a medium intensity attack requires to undergo many surgeries. With the cost of each surgery averaging Rs 1.5-3 lakhs treatments can be prohibitively expensive against these daunting expenses. So a Major part of the Fund would go in providing medical attention to such victims - 3.5 Lakh Rupees to victims who can't afford to pay their medical expenses. 2. Organizing Rally, Awareness campaign and street play - 50,000 Rupees. When I was in 10th class a person aged 55 years used to follow and molest me. Time passes and things goes on and get increased. After about a year I told my parents about all this and talked to that person’s family (son, wife and other elderly). Who knows getting courage of telling that molestation to others will be a life changing incident in my life. My life changed but not towards positivity that was in deep dark shallows. Being irritated by the talks just after a week he threw acid on my face from a bottle while I was sleeping in my house at night. I married in 2004 to a person with lot of dreams in my eyes which every girl has. But that dreams became dreams for me. My husband was not good in character. If a person didin’t has good vision he thinks all world is like he is. When I get married things were not good with me but I thought one day they will be. But that day didn’t come. Being in relationship I get abused physically tortured and distrust as well. I was like behind bars. He used to come home with other girls and not in their sense. I have to work for daily needs as well but that never become fruitful. Leaving me he went to Mumbai and contacted me only once in between 08 months. Then I decided to leave him. I went back to my parent’s house in 2008 and started business over there. I had decided to get separated that’s why I filed Divorce case in 2009 and got final decision (in 2010) in my favor. But who knows my journey of pain in not ended yet. In between 2010 to 2011 I get many calls that I will destroy you and your face but I didn’t take them seriously. In February 2011 when I was alone at home and cooking food for evening he came along with a friend and threw acid on me. While throwing acid he was very close to me. In that accident I lost my both eyes. When I was in 11th Standard there was an army camp setup on the way between my school and home. A person from that camp used to like me. Somehow he got the phone number and every detail related to me. He followed me too many days and proposed me. He used to ring me at my home and use bad language that time I didn’t replied. Gradually things go on and he continued following me. My friends suggested me to give at least one chance to that guy then in reply I told that men to wait (if he loves me) for 06 years because I want to complete my studies. Then he gave two conditions for that one of Court Marriage and second of physical relationship but I denied. He said if you will not be mine you can’t be others. But that process of following didn’t end there. One day I was going to my mausi’s home from my tuitions he stopped me and said to go with him but I refused to go and said not to follow me because I don’t love him. I gave that option of 06 years just to respect his love. Then while returning to home with my cousin by bicycle he stopped me and threw acid on me. Your share could be as good as a donation for Happiness Ville foundation - NGO! Not everyone can afford to take care of their loved ones. Happiness Ville foundation - NGO's life can only be saved by donations made by kind people like you.